Autumn is my favorite time of the year. I love the cool crisp days, the wonderful foods that are popular in autumn (especially dishes with apples and pumpkins), the displays at farmers markets and especially all of the beautiful colors of fall everywhere. 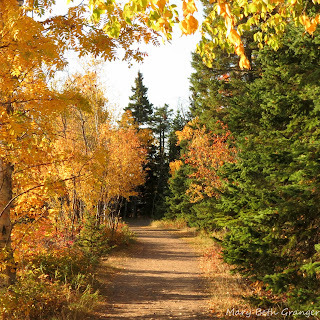 My husband and I love to travel in the fall of the year and I have been fortunate to be able to photograph autumn throughout the United States and in Canada. I love to use these photos to decorate my home. In the photos below you will see the many different subjects that make great focal points for fall photography. I also include some tips for photographers. I love lighthouses so it is no surprise that photographing lighthouses in the fall would be a favorite pass-time of mine. 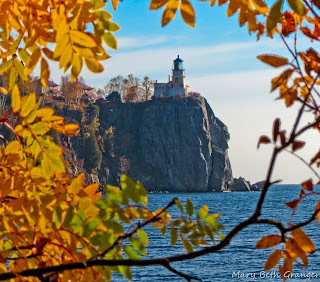 In the photo above I was able to capture Split Rock lighthouse in Minnesota framed in fall foliage. I captured this photo by climbing on a rock in a nearby campground and taking the photo between the branches of the tree. Photographer Tip---Framing your photograph can add interest to a subject. Fall leaves are great to use in framing. Fall is especially stunning in the countryside. In the photo above an otherwise simple fall path becomes especially pretty framed in fall foliage. 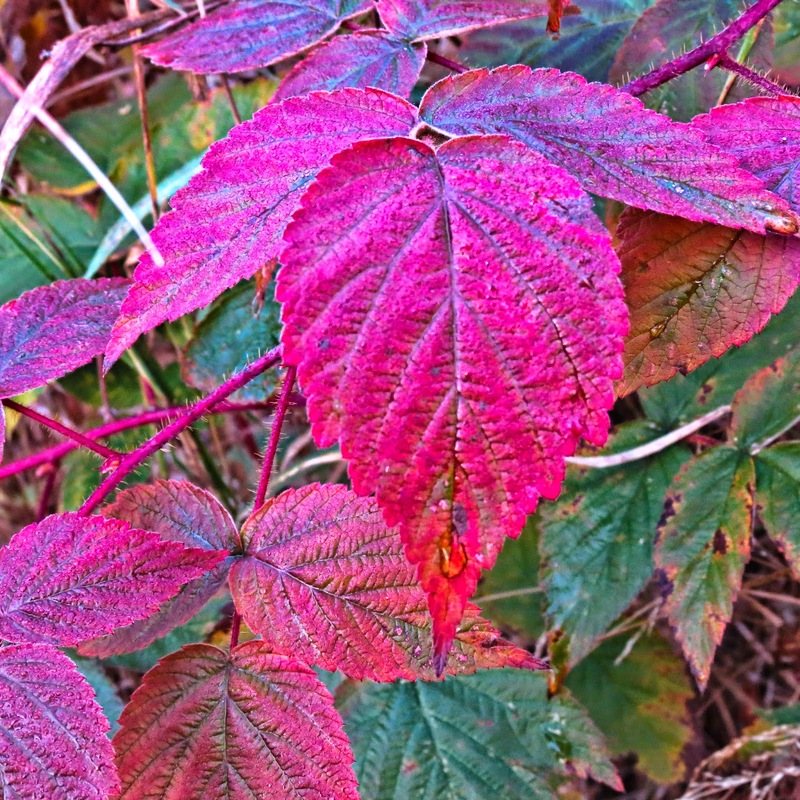 The photo below shows the colorful leaves along a fence line at a friend's farm in Hermann Missouri. Photographer Tip--Leading lines add interest to a photograph. Try finding paths and fence lines to lead the eye into the photo. 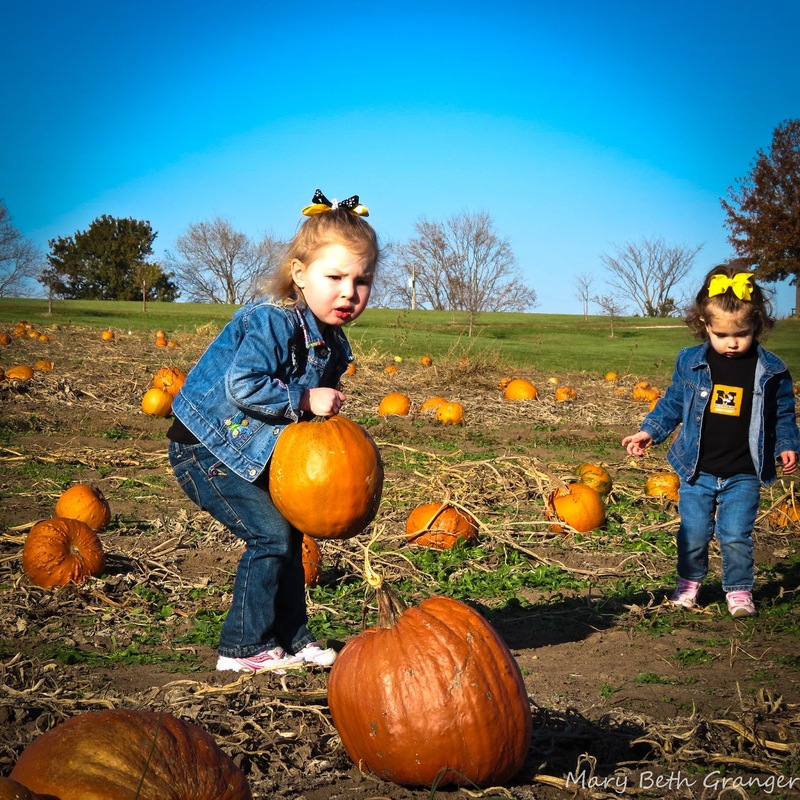 The photo above shows my young granddaughters picking out their favorite pumpkin at the pumpkin patch. Pumpkins make great subjects of fall photography. They are found everywhere and add to the color of the season. In the photo below we were on a cruise stop in Quebec City Canada during late October. Old Quebec City was full of colorful fall decorations. The windows and doors throughout the area were decorated in the colors of the season. I captured this pumpkin display in a small area between buildings. 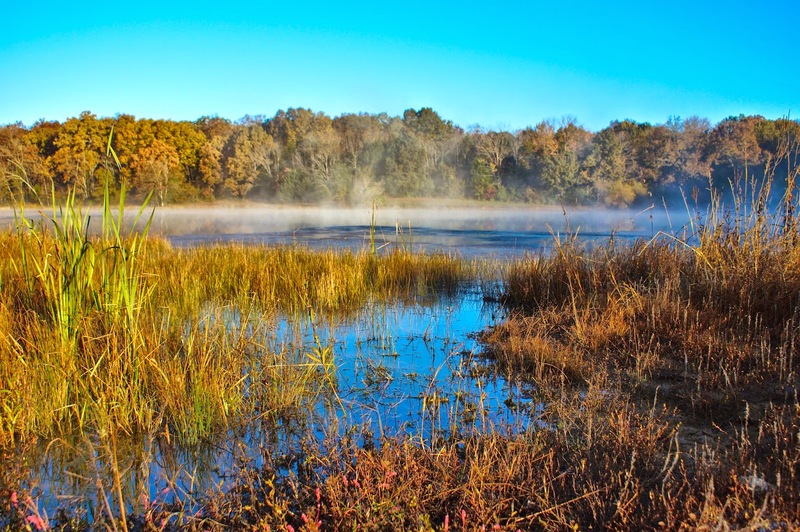 Photographer Tip--Polarizing Filters are a great way to bring out fall colors. It is like putting sun glasses on your camera. 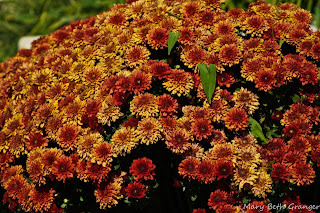 In this photo fall mums are hanging down over a rock border. Photographers Tip-- Flowers make beautiful subjects, but make sure the flowers you pick are in good shape. There is nothing like a dead flower to ruin an otherwise good photo. I would think that fall would be a wonderful time for all types of artists. My friend, Karen, was an excellent water color artist. She loved to make fall scenes come alive on canvass. Below is a scene she painted of a pumpkin by the fence. Her work can be found on the Zazzle link below. Karen passed away in June of 2015. She will be missed. 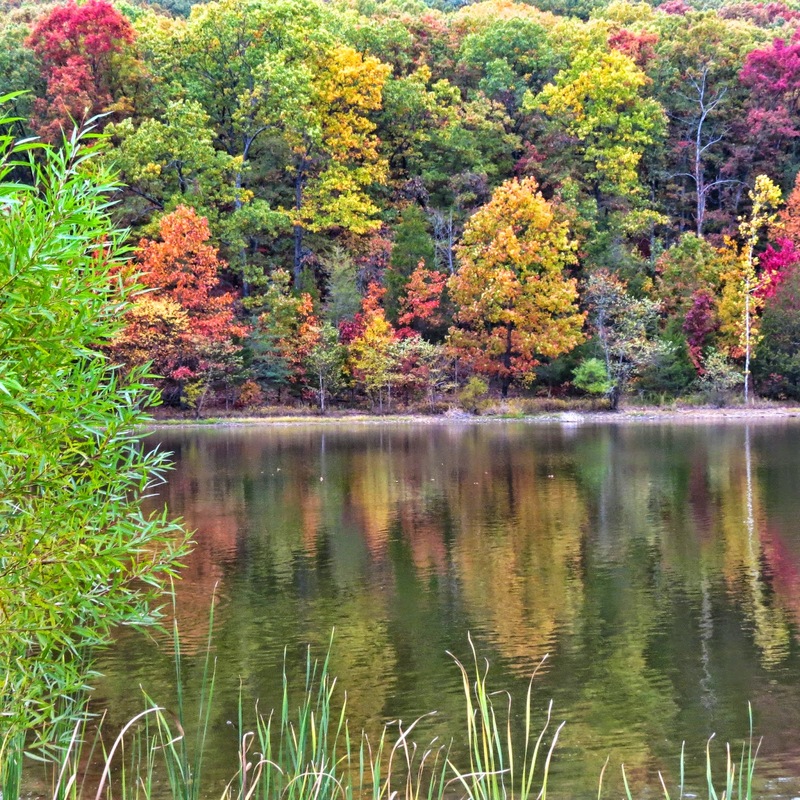 Fall leaves are a popular subject for autumn photography. 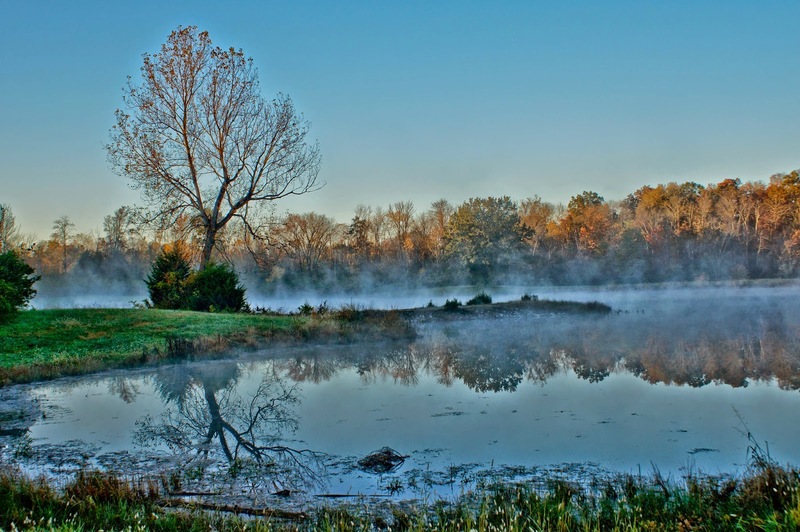 The photo below was taken at Shaw Nature Reserve in Gray Summit Missouri. I was on a hike there during a photography class early one morning. 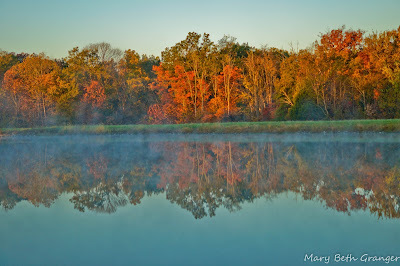 The sun had just risen and I was able to capture these fall leaves in the early morning light. Photographer Tip--Try moving in close for photos of fall leaves. Autumn scenes with water always seem to catch my eye. I love the way the colors reflect against the quiet water. 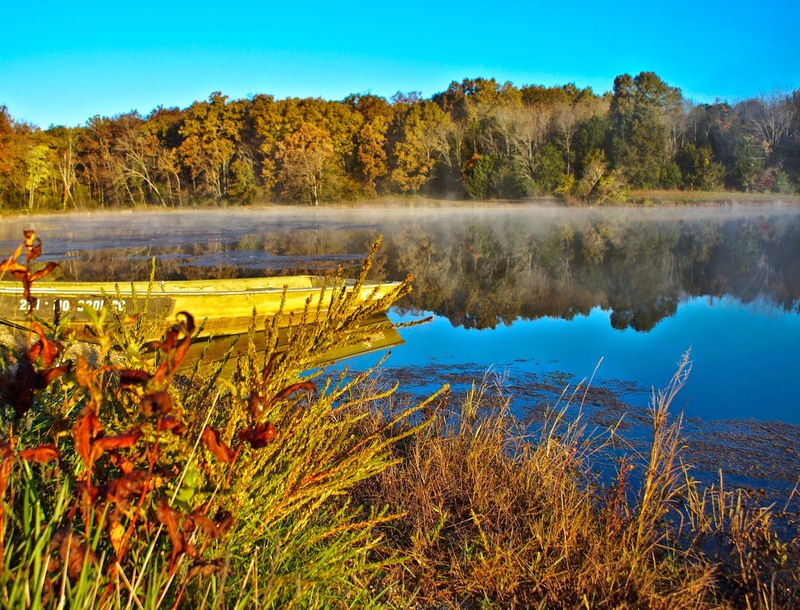 In the photo below, I captured a deserted boat at the edge of a pond in Busch Wildlife Area near my home. 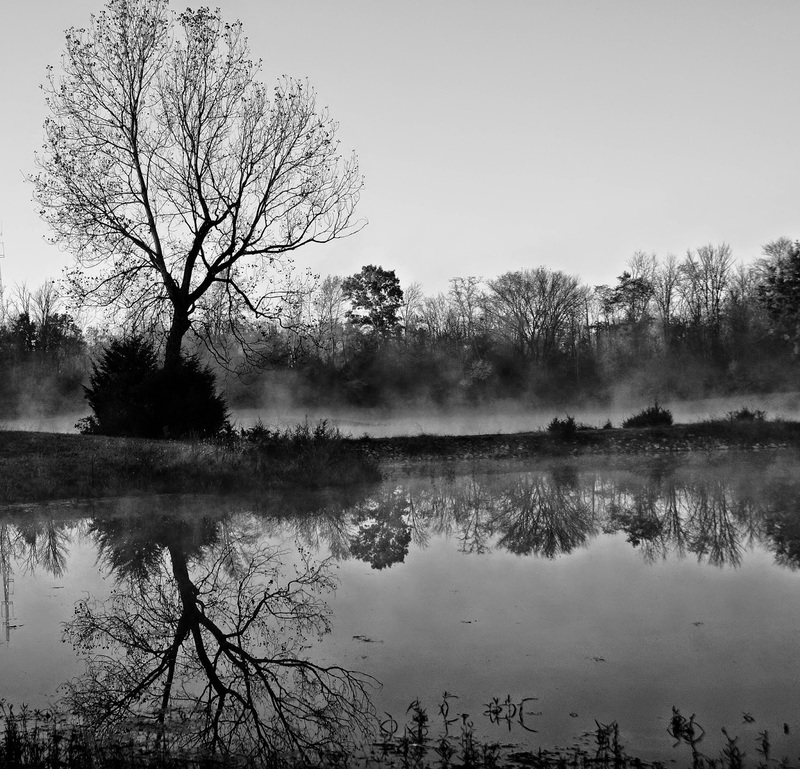 Here is another of my favorite relection photos. These brightly colored leaves are reflected in the pond at my friend's pond. Photographers Tip--Although I use a polarizing filter for most autumn photograhy, reflections come out better without the filter. I have many of my fall photographs on products in my Zazzle store. The collection below shows you several of the items that are featured in the store.